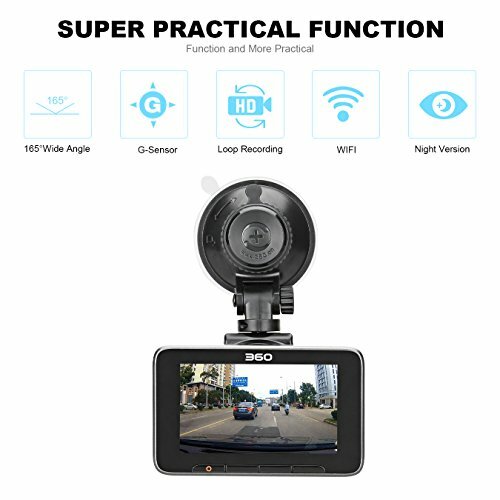 HD & BROAD ANGLE: 3.0 inches LCD with 1920*1080p HD( 30fps with a six layer glass ) , 165 degree wide angle lens to reduce blind spots, the details can be distinguished. KEY CONFIGURATION : Ambarella A12A55 chip, Aptina AR0238 image sensor, E-HDR technology best-in-class CMOS, enables excellent image quality, great video record and clear night vision for you. 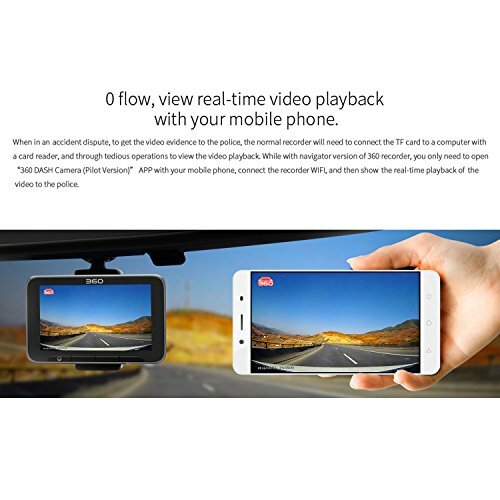 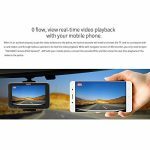 PRATICAL FUNCTIONS: WIFI connection for 0-flow real-time video playback viewing via APP, Bluetooth for a quick picture or video, G-Sensor feature for accident auto detection. 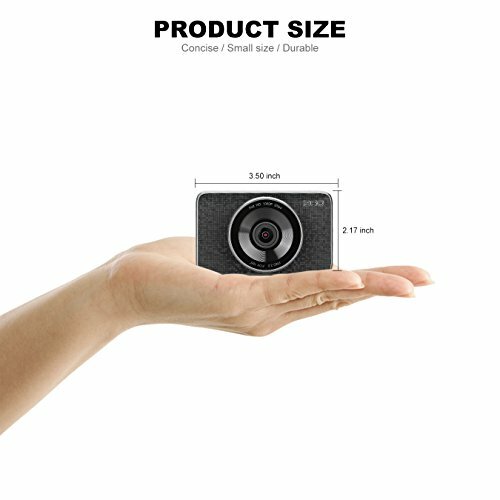 128GB memory card support ( not include). 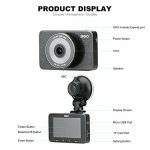 The best car dash cam you can buy online. 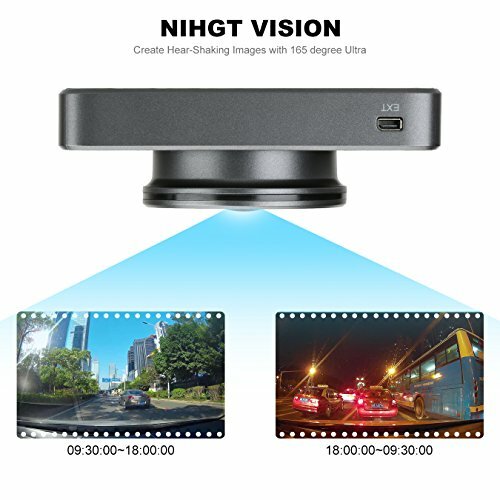 Utilizing the latest Ambarella A12A55 chip and Aptina AR0238 image sensor, the video lens has higher sensitivity, less noise and more vivid colors. 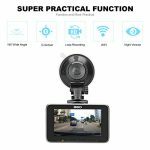 With a Full HD spherical glass lens, made with the exclusive 43 layer coating process, it effectively reduces the stray light reflection to improve the transmittance and shooting clearly even at night. 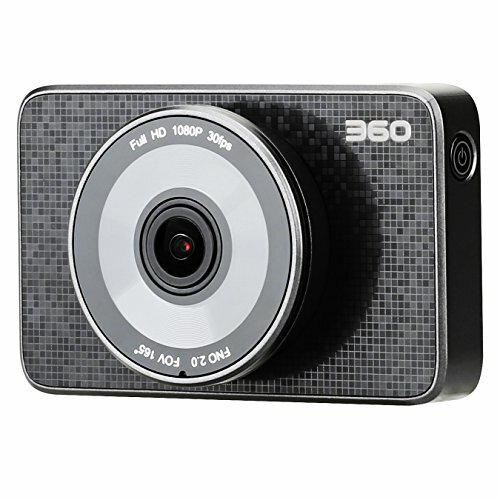 Records videos with the highest quality of any consumer-level product in the market today. 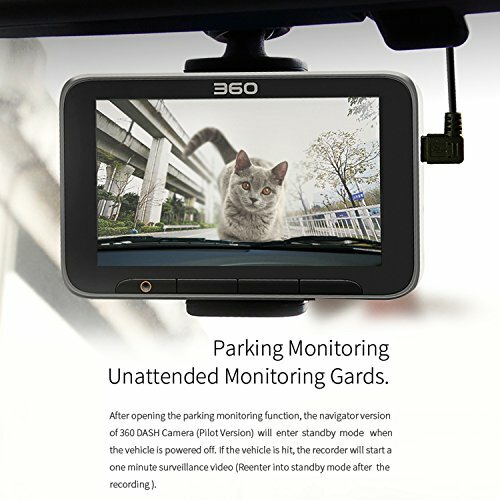 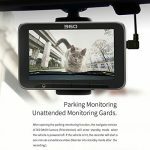 FURTHER SECURITY ASSURANCE: Parking monitor & loop recording, automatically initiating parking mode according to the engine power, overall monitoring and protection for cars with emergency video and loop recording. 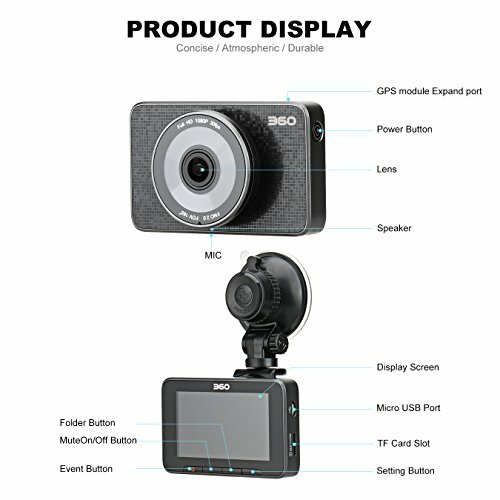 WARRANTY & GIFT: 12 months warranty for dash cam issues. 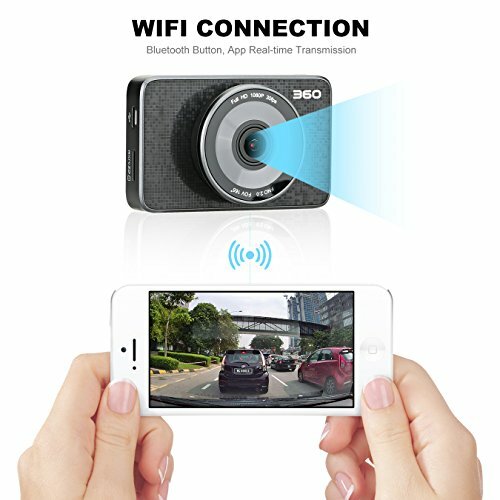 A 16 GB SD card and a Bluetooth remote button are included.